Micro-blogging website Twitter is reportedly testing a feature that will simplify the way users post "tweetstorms"
Micro-blogging website Twitter is reportedly testing a feature that will simplify the way users post "tweetstorms" — a series of related tweets posted by a user in quick succession. According to a report on Engadget on Monday, A user has discovered a hidden, experimental "tweetstorm" feature in Twitter's Android app that simplifies the process. "Instead of posting tweets one at a time and replying to them in sequence, you compose everything behind the scenes and share it all at once," the report added. Hidden inside the Android app is a way to write a "tweetstorm" and see it broken into distinct tweets and then tweet them all at once. Twitter, however, declined to comment on the feature which is yet to be made available for the public. Twitter has lifted the 140 character limit for its 328 million-plus users to send direct messages. 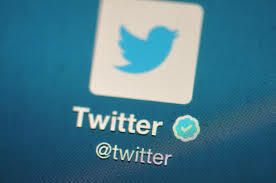 Public tweets however maintain the 140 character limit, which was originally introduced on the microblogging site along the lines of the character limit of an SMS message. Users respond to previous tweets, or append the number of the tweet in a series, or simply tweet out images when there is a need to share larger chunks of text. While Twitter is largely a public experience, direct messages let you have private conversations about the memes and news that unfold on the micro-blogging site. The company said last year that it would stop counting photos, videos and GIF animations toward the 140-character limit.